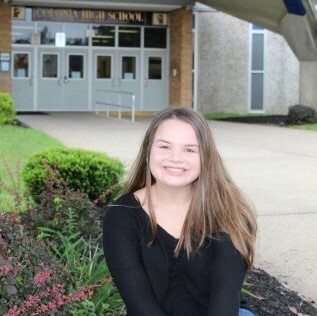 Emily Spillar is a 15 year old sophomore at Colonia High School. Spillar is one of the cheer captains on her high school team. In addition, she loves to dance, and dances for Dancin’ in the Spotlight in Rahway, NJ. Next, Spillar is in the choirs at Colonia High School. She is also part of the PTV news anchoring at Colonia High School, and is a homeroom representative for Student Council. Spillar has 2 younger siblings, Elizabeth and Connor. When not in school, she loves to spend time with friends, and loves to write all kinds of genres. In the future, she hopes to attend the School of Communications at American University in Washington, D.C.